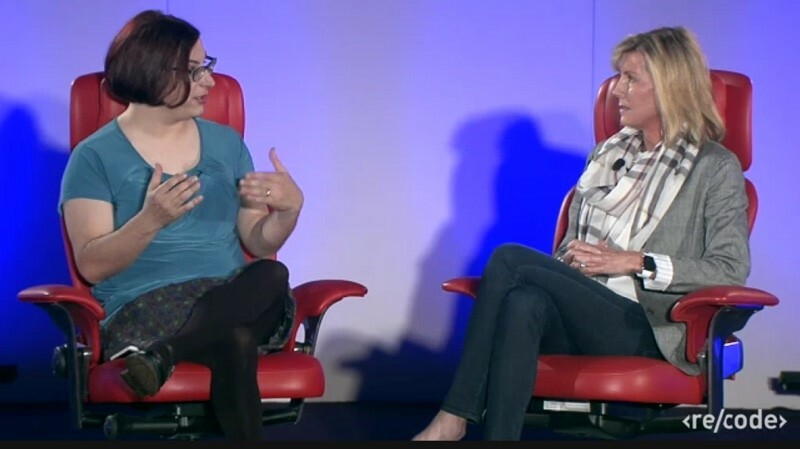 Popular coffee chain Starbucks will begin accepting Apple Pay by the end of the year, says Apple Pay vice president Jennifer Bailey, who spoke today at Re/code's Code Mobile Conference in Half Moon Bay, California. Starbucks plans to team up with Apple to launch an Apple Pay pilot program in select U.S. stores this year before rolling Apple Pay out to approximately 7,500 company-owned Starbucks locations in the United States in early 2016. The Apple Pay payments service will be connected to Starbucks' own loyalty program, but it is not clear if Starbucks customers who make purchases with Apple Pay will be able to earn Starbucks rewards. At the current time, Starbucks uses its own barcode-based in-app mobile payments system for coffee and snack purchases made within its retail stores. The Starbucks iOS app does support Apple Pay, but only for reloading Starbucks cards. Given the popularity of Starbucks, Apple Pay availability at the chain could be a major boon for Apple. In addition to Starbucks, Apple Pay will also be available in KFC fast food locations and Chili's sit-down restaurants starting next year. In Chili's, customers will be able to pay for their food directly at their tables using Apple Pay. On stage, Bailey said Apple was "fully committed to NFC," calling it the "best technology out there" for mobile payments. She also said Apple wants to bring Apple Pay to as many countries as possible in the future, expanding beyond the United Kingdom and the United States. If they're going to do this one company at a time, it's going to take a thousand years to become prevalent. Then they can start accepting a cryptocurrency, and actually start making a meaningful cultural impact. "but it is not clear if Starbucks customers who make purchases with Apple Pay will be able to earn Starbucks rewards." Well, wouldn't that just be a waste. It wouldn't be a MR story if it didn't include the phrase "it is not clear." Canada, please? Pretty, pretty please? I'm not holding my breath. Some days I expect Uzbekistan to get ApplePay before we do. Why is it that USA is almost always behind the technology? This already works in Europe. I've used it last week in Prague and this week in London. We're one of the largest countries in the world in both population (3rd behind India and China) and land mass (3rd behind Russia and Canada, and the largest if you count the fact that Russia and Canada are both half-frozen). I think a lot of people outside of the USA don't quite grasp the massive scale of the USA. Just setting up the infrastructure for such an area is incredibly difficult. We also have a largely unregulated capitalistic society, unlike a lot of Europe. There is a lot of pushback when companies are forced to do things by the government or some other regulating body. Even when society wants something (more secure credit cards for example), companies feel more free to say "sorry, that costs us too much to implement" and thus it takes forever to happen. That is why things tend to roll out slower here. But the freedom is also why many large worldwide companies are based here. She also said Apple wants to bring Apple Pay to as many countries as possible in the future, expanding beyond the United Kingdom and the United States. The Apple Pay payments service will be connected to Starbucks' own loyalty program, but it is not clear if Starbucks customers who make purchases with Apple Pay will be able to earn Starbucks rewards. I don't understand that part... How can it be "connected to Starbucks' own loyalty program" and not give rewards....? Just to be clear, it does work in Canada, just not for Canadians' Canadian Bank Cards. It worked flawlessly for us in Vancouver with my American Credit Card back in May.